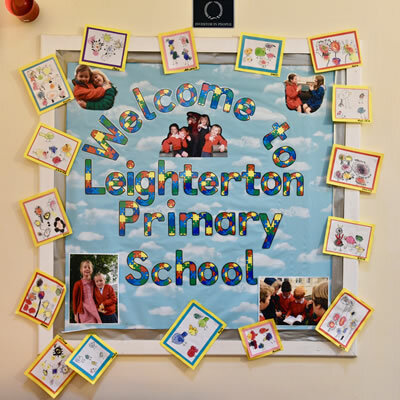 I am delighted to welcome you and your family to Leighterton Primary School. As a small, happy village school, all staff have a personal knowledge of every child, and there is a real family atmosphere. Our experienced and dedicated teams provide the highest standard of education and our school offers a rich and diverse curriculum. We pride ourselves on providing creative learning experiences which challenge and engage pupils. Many children attending our school come from families who have a long association with us, some as pupils themselves. Our links with the Leighterton community and beyond enrich our children’s lives in many ways. We are immensely proud to have received a good OFSTED report in June 2016. We know that we have a vital role to play in the shaping of young minds, preparing them not only for the next phase of their education, but ultimately to take their place in society as confident, ethical, caring adults. We are all committed to doing our very best to make your child’s time at our school as happy and productive as possible, ensuring that their primary years are a time of developing self-confidence, enquiring minds and learning the skills for their future. We have high expectations of ourselves at Leighterton, and are proud of the exacting standards we achieve. I hope you find the information included useful. If you have any queries or would like further details, you are welcome to contact me and I would be delighted to show you around.